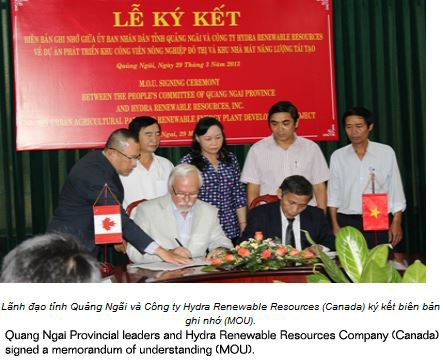 Quang Ngai, Vietnam Provincial leaders and Hydra Renewable Resources Company (Canada) signed a memorandum of understanding (MOU). 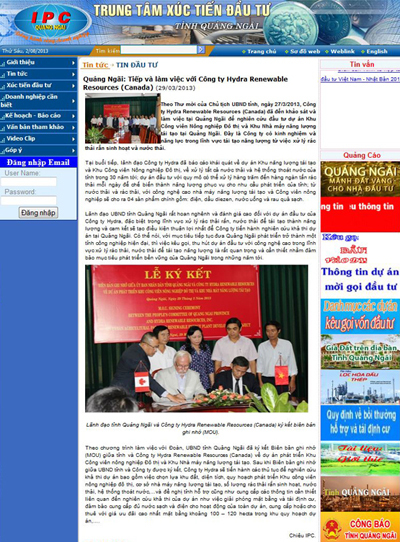 According to the invitation of the Chairman, dated 27.03.2013, the Company Hydra Renewable Resources (Canada) to survey and work in Quang Ngai to study investment projects Zone Park Urban & Agriculture renewable energy plant in Quang Ngai. 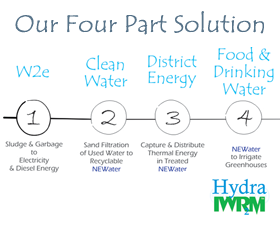 This is a company with the experience and capabilities in the field of renewable energy from solid waste disposal and wastewater activities. At the meeting, the leaders of Hydra company reported an overview of the project area and the area of renewable energy Park Urban Agriculture, for all wastewater treatment and drainage system of the province in the next 30 years; investment projects can scale to handle hundreds of thousands of tons of waste per day to be processed into energy for the development needs of the province, from sewage and garbage, with high-tech factories renewable energy and agricultural park for the 04 main products include: electric, diesel, clean drinking water and vegetables. Anh Dao Quang Ngai province welcomed and appreciated for investment projects of the Company Hydra, especially in the field of solid waste management, waste water to recreate the energy and commitment will facilitate most advantageous for the Company to conduct a feasibility study project in Quang Ngai. 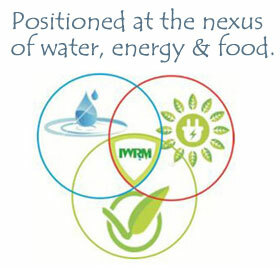 It can be said, with the goal of continuing to Quang Ngai province developed into a modern industry, is calling for, attract investment projects with high technology in the field of waste management, waste water to re-energy is very important and necessary to ensure the sustainable development goals of Quang Ngai in the coming years.